NFL | Clarksville Sports Network - Clarksville Tennessee's most trusted source for sports, including Austin Peay State University. 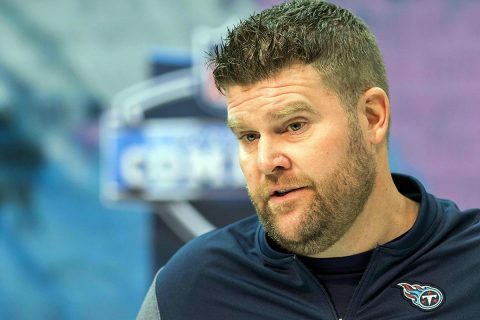 Nashville, TN – This will be Jon Robinson’s fourth draft to lead as Titans general manager. He was named to the post on January 14th, 2016, and in 2017, controlling owner Amy Adams Strunk added executive vice president to his title. 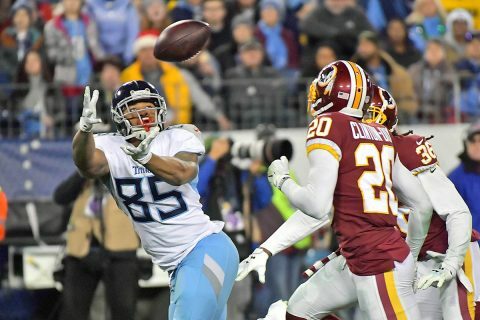 Robinson selected 23 total players in his first three drafts in Tennessee, and 15 of those picks remain with the club. During the same time period, he has engineered 15 trades and made eight waiver claims (through April 15th, 2019). 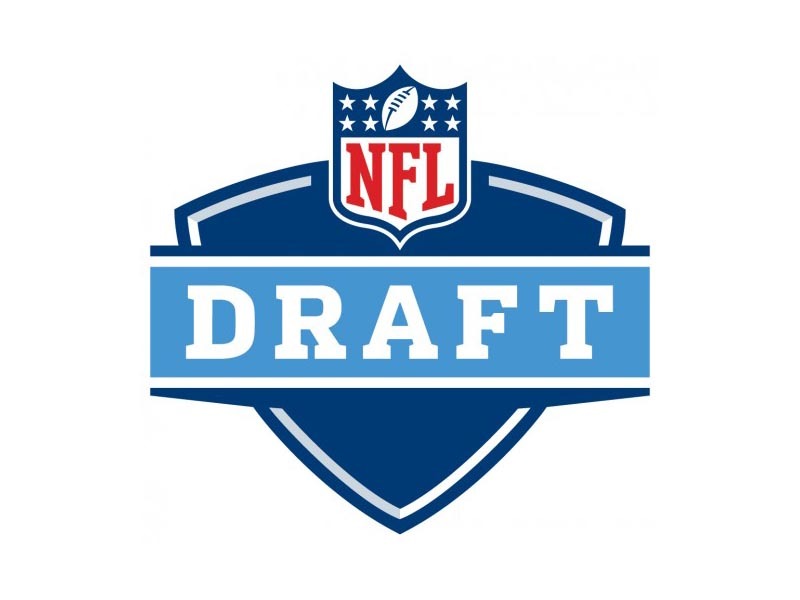 Nashville, TN – Nashville transforms into the epicenter of the football world next week as Music City hosts the 84th Annual National Football League Player Selection Meeting. The Tennessee Titans are scheduled to have the 19th overall selection and six total picks in the draft, which opens with the first round on Thursday, April 25th at 7:00pm Rounds 2 and 3 are set for Friday, April 26th, beginning at 6:00pm, and the draft concludes with Rounds 4-7 on Saturday, April 27th, at 11:00am (all times central). 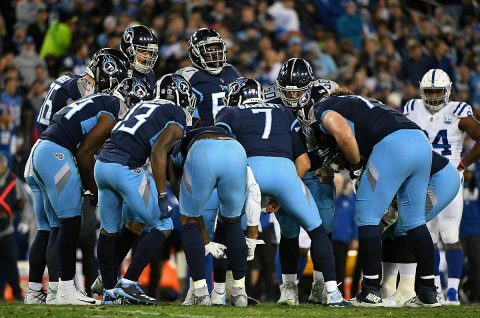 Nashville, TN – The National Football League (NFL) announced the 2019 preseason schedule this afternoon and the Titans will be hosting the Pittsburgh Steelers on NBC’s Sunday Night Football on August 25th for a week three matchup. 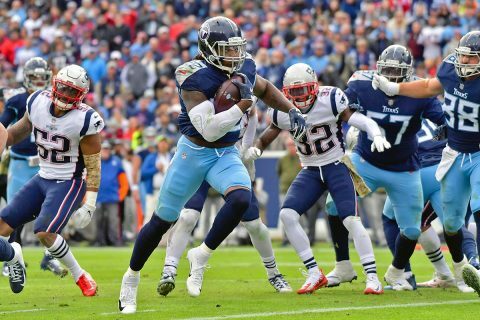 Additionally, the Titans will be hosting the defending Super Bowl Champion New England Patriots in week 2 (August 15th-18th) at Nissan Stadium. 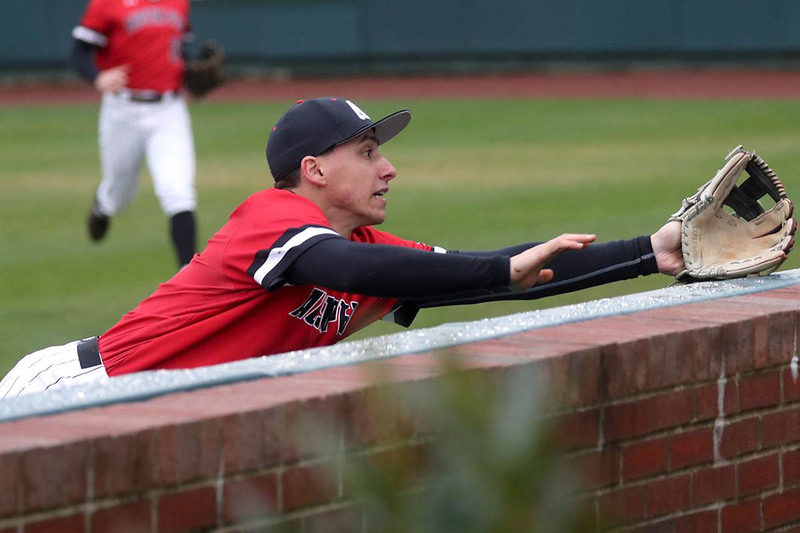 Clarksville, TN – Due to forecast subfreezing temperatures Tuesday night, Austin Peay State University’s baseball team has moved up the start of its contest against Lipscomb. The Governors and Bisons now will play a 2:00pm, Tuesday, March 5th contest on Joe and Cathi Maynard Field at Raymond C. Hand Park. Austin Peay will turn to right-hander Tyler Thompson on the mound to square off against Lipscomb righty Scott Elgin. 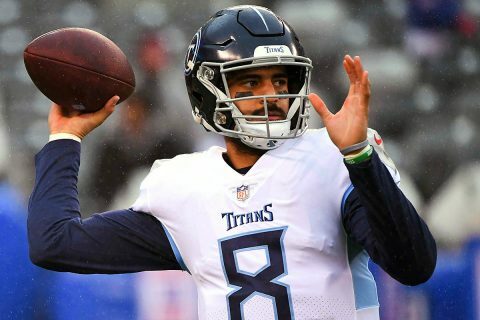 Nashville, TN – Tennessee Titans quarterback Marcus Mariota, who finished his fourth NFL season, missed three total starts in 2018 due to injuries. Nevertheless, he posted his third consecutive winning record as a starter (7-6) and set the franchise single-season record with a 68.9 completion percentage. Mariota’s 27 wins as a starting quarterback in his first four years with the club rank second in franchise annals behind only George Blanda’s 34 victories. 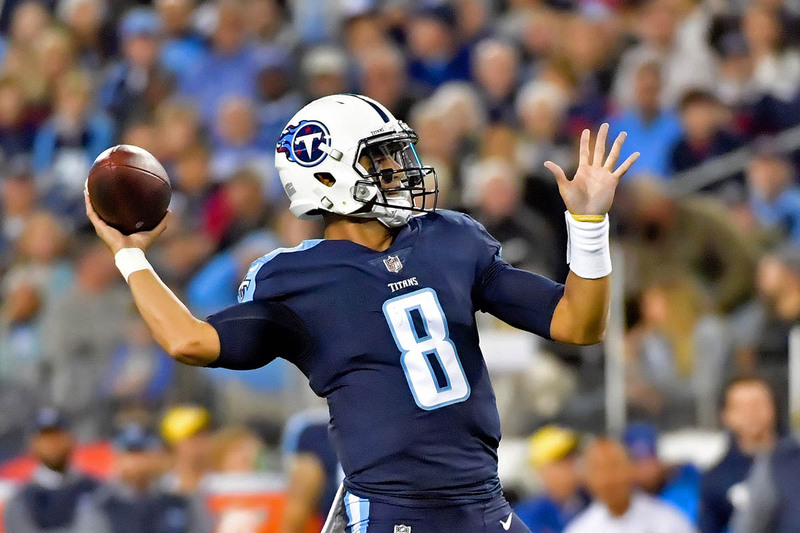 Mariota is the fifth player in NFL history to record 12,000 passing yards (12,004) and 1,200 rushing yards (1,270) in his first four NFL seasons, joining Russell Wilson, Cam Newton, Jeff Garcia and Blake Bortles. Nashville, TN – The Tennessee Titans completed their third consecutive winning season in 2018, finishing 9-7 under rookie head coach Mike Vrabel. With the offseason now underway and roster decisions approaching, the team enters the 2019 offseason optimistic it can take the next steps to make a return to the postseason. Since executive vice president/general manager Jon Robinson arrived in 2016, the Titans have finished 9-7 every season and advanced to the divisional playoff round following the 2017 campaign. Nashville, TN – The Tennessee Titans elevated Arthur Smith to Offensive Coordinator from his previous role coaching tight ends. 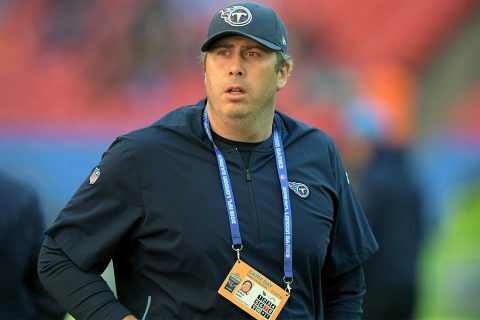 Smith has been on the Titans coaching staff for eight years (2011-18), earning the trust of four different head coaches. Overall, he has 12 years of coaching experience with 10 of those coming at the NFL level. Nashville, TN – In Week 11 of the 2018 season, the Titans traveled to Indianapolis to take on the Colts and fell by a score of 38-10. On Indianapolis’ second possession of the game, Colts QB Andrew Luck led his team on a seven-play, 33-yard scoring drive. 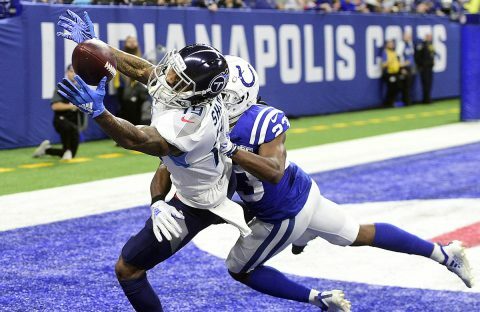 With help from a 51-yard punt return from Colts WR Chester Rogers, Colts RB Marlon Mack got in the end zone on a one-yard rushing score to put Indianapolis on the board first, 7-0. Nashville, TN – This week’s game will mark the 49th all-time contest between the Tennessee Titans and Indianapolis Colts. The Colts lead the series 32-16. In the first meeting of 2018, played on November 18th at Lucas Oil Stadium, Andrew Luck totaled 297 yards and three touchdown passes to lead the Colts to a 38-10 victory. Titans starting quarterback Marcus Mariota left the game in the second quarter due to an elbow injury. Nashville, TN – The Tennessee Titans (9-6) host the AFC South rival Indianapolis Colts (9-6) Sunday night in “Game 256,” the final game of the NFL regular season. The winner will advance to the playoffs, while the loser will be eliminated from postseason contention. Kickoff at Nissan Stadium (capacity 69,134) is scheduled for 7:20pm CST on December 30th.